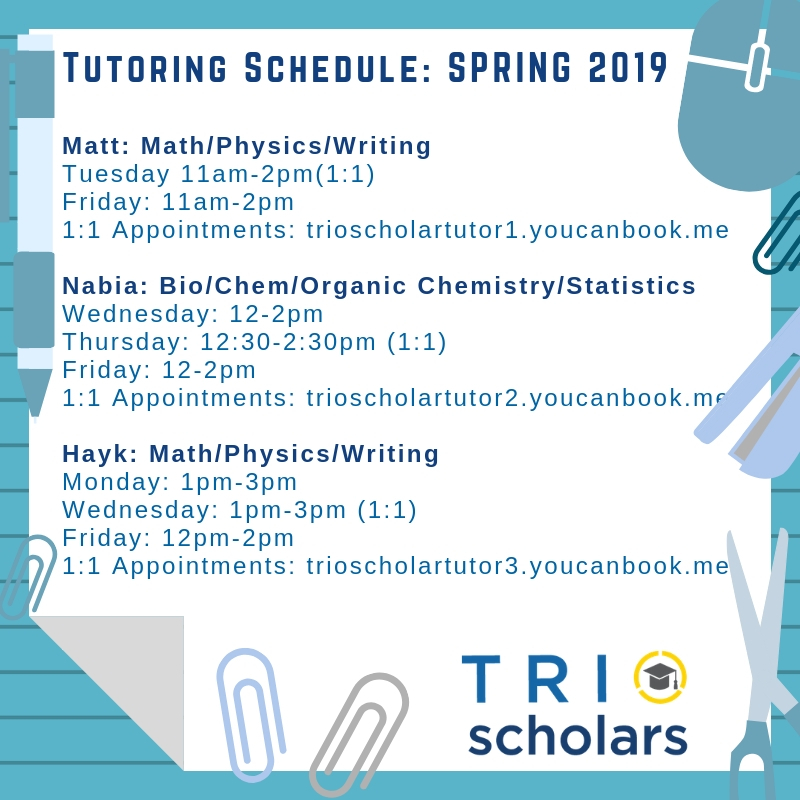 Tutoring is provided to TRIO Scholar participants only. **Tutoring is offered Week 1 through Week 10. NO TUTORING DURING FINALS WEEK. Week 10 – Study Jams available for students! Hello my name is Matthew Trevino and I’m a fourth year math major. It’s a privilege to be one of your tutors as I’m in the TRIO Scholars Program myself! 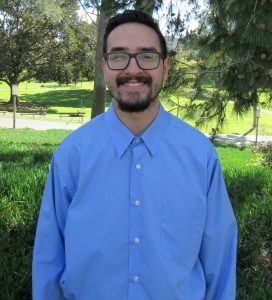 Aside from being a student and a tutor, I’m also a staff member at the UCI Summer Session Student Life & Leadership office. Some hobbies of mine include reading, playing video games, spending time with family and friends, as well as spending time outdoors. If you have any questions at all, please feel free to stop by the Student Success Initiatives office and I’d be more than happy to assist you! 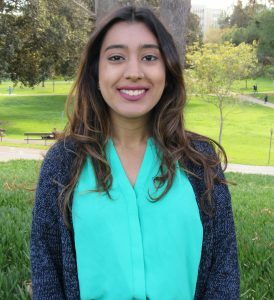 Hi my name is Nabia Khan, and I am a 3rd year BioSci major. 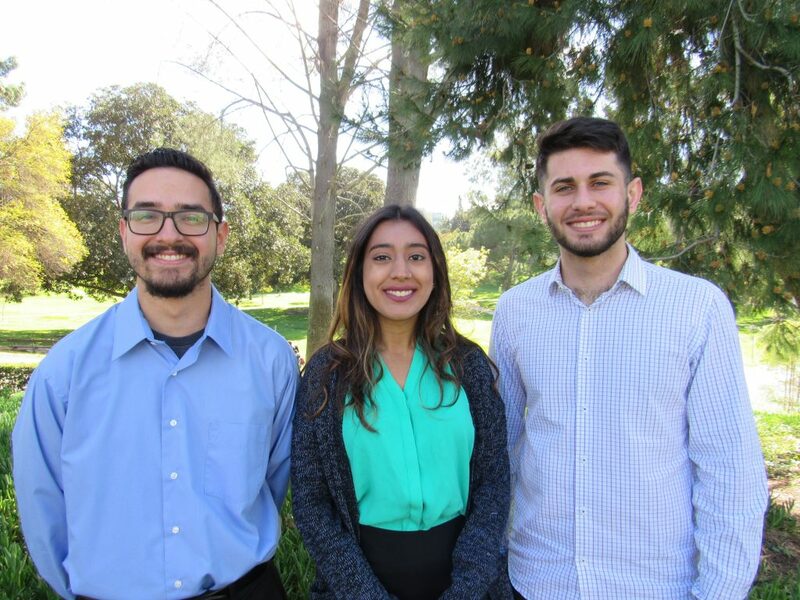 I joined the TRIO Scholars program to help students achieve the most at UCI. I specialize in Biology, Chemistry and Organic Chemistry and will be tutoring for the 2018-2019 school year. Please feel free to make an appointment or drop by! My times are found below. Hi! I’m Hayk Ghazaryan and one of the TRIO Tutors for Math, Physics, and Writing. 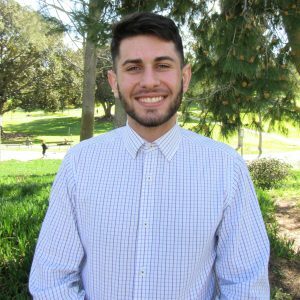 I’m a 3rd year Mechanical and Aerospace Engineering Major and am excited to be yout tutor for the 2018-19 school year! Aside from TRIO tutoring, I’m also an Engineering Ambassador at UCI and am one of the leads for the Intelligent Ground Vehicle Team here! If you have any questions about anything, feel free to come in to my hours at the SSI building! You can make an appointment below, or simply drop by during my hours.